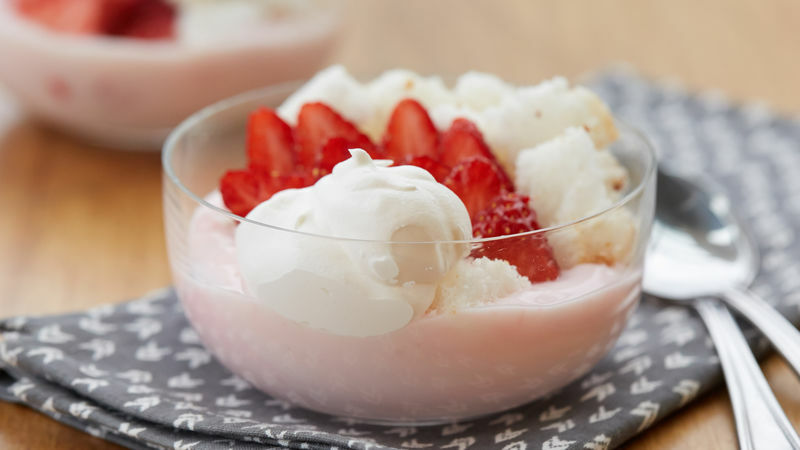 In small bowl, add yogurt and top with angel food cake, strawberries and whipped topping. Don’t have angel food cake? Use 5 mini crushed vanilla wafer cookies instead. Whipped topping also comes in a light variety.